By the time most people hit retirement, they start thinking about their forever home. For you, it may be time to choose where you will grow old and make new memories. Moving as a senior will often require downsizing into a home that is smaller, safer and easier to maintain. The process involves getting rid of things that may hold sentimental value. It might also involve making some tough planning and logistical decisions. You will need to decide if you want to age in place, join a retirement community or move in with a child or friend. You may even decide you want to retire in another country! Wherever you choose to spend your golden years, you will need to move to get there. In this guide, we will cover all the steps you will need to consider for the most comfortable, happy transition. It can be tough deciding where you want to spend your retirement years. 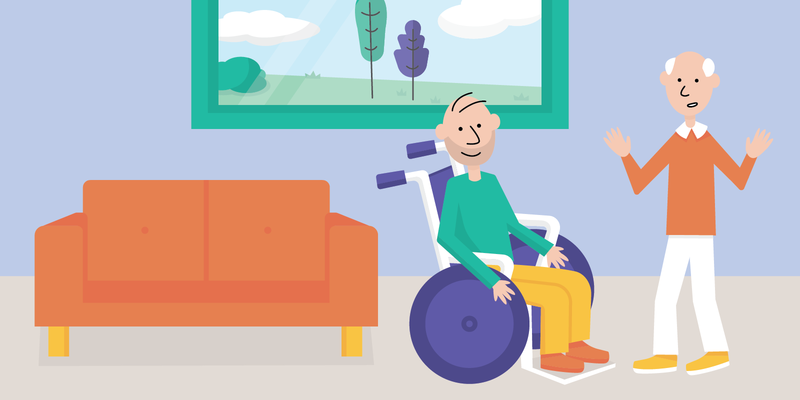 But depending on your level of independence and mobility, there are many attractive options available! Many senior citizens choose to move into a smaller home in the same community they are currently living that is better suited to their needs. This home will often include elements like lower maintenance exteriors and modifications to prevent injury. Moving into a home that is smaller and safer can help you remain independent as you age. You will need to be relatively mobile and be able to drive (or have someone who can assist you with errands). You should be either be living with a partner, a roommate or have someone nearby that can spend time with you. If you are healthy and have the right support system, then aging in place is a wonderful option! You can find more about aging in place here. Some people will find that a senior living community is the best option. While retirement communities may sometimes have a bad reputation, modern senior living communities work to avoid this perception, and can even be fun! If you’re facing any of these concerns, a senior living community can be very convenient. They allow you to remain independent while still having a community and healthcare resources nearby. If you think this might be the option for you then planning in advance is smart. Determine which type of senior living community is the best fit for your needs. There are continuing care retirement communities that require upfront entrance fees as well as “rental” communities that offer similar services à la carte. There is a retirement community to fit every budget and lifestyle! If you have family that is willing and able to let you live in their home, moving in with family can be a convenient option. Consider your reasoning for moving in. Do you have financial concerns? Do you have a health condition? If you need more care than your family member can provide, you may want to consider a retirement community or senior living facility. It’s important to be realistic about your limitations and needs. Once you have determined that moving in with your family is a fit, you will need to significantly downsize in order to merge households with your family member. You and your loved ones will need to determine if any modifications need to be to their home to make it safer and more elder-friendly. 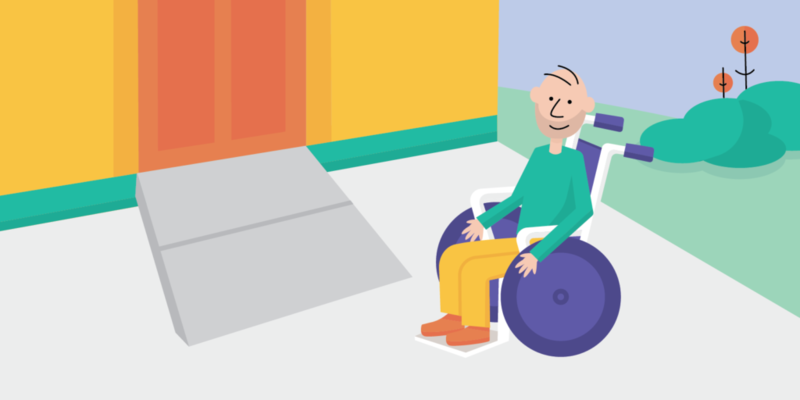 For example, many homes with older adults will widen doorways to accommodate for mobility devices, add easy-grab or non-slick surfaces in the bathroom and clear common areas of trip hazards. Extremely healthy and mobile older adults might consider moving to a smaller home in another state or country! Moving to a drastically different location can allow you to live out your dreams of adventure in your later years. Some countries can also be significantly less expensive than living in your current one. To be a good fit for retirement abroad you will need to purge most of your belongings. It is best if you have a partner to move with you. Choose a new city that has excellent medical care options nearby and easy transportation options. You will want to look into health insurance options and make a plan in case your health declines. If you are prepared, retiring in another country can be an exciting option! Once you decide where your new home will be you will need to start planning your move. 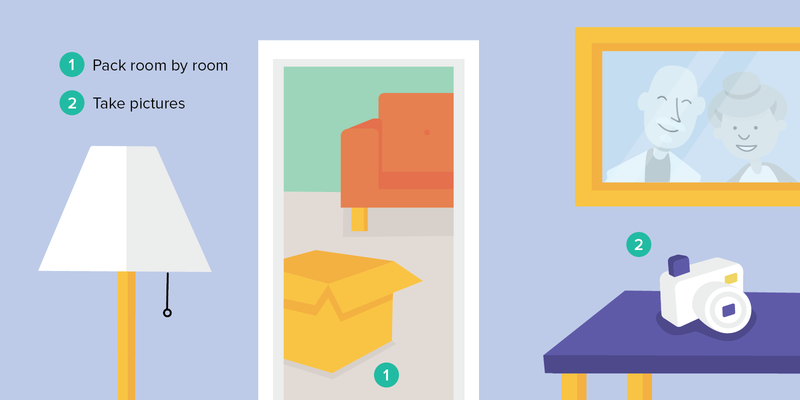 Look at your new space—will you have room for all of your things? If your new floor plan will not allow for many of your items you will need to start the downsizing process. Think about where your belongings will go and what you will need to do to get them there. If there are items that are too heavy for you to move on your own you will want to line up assistance. Sometimes you will be able to ask a friend or family member for help, but often you will need to hire movers. If this is the case, planning weeks in advance can help you cut costs and help you plan accordingly. Do you have a pet that you hope to take with you? You will likely need to make arrangements ahead of time. If you are moving in with a family member or friend, ensure that they are okay with your pet also making the move. Ensure that your new space is large enough and safe enough for your furry friend. Think about what you will need to do before the move such as find a new vet and update their tags. Keeping your pet calm during a move is important too! If you have a partner with health issues or limitations you will need to consider their needs in your move. Does the new house need modifications? Will you need to arrange for a home nurse? Planning for these needs ahead of time can save considerable time and stress in the long run. Downsizing can be a stressful and taxing process, but knowing when to start can ease much of the anxiety. Most older adults downsize for economic reasons, but there are other benefits like less maintenance and avoiding empty nest syndrome. When you decide to downsize you will need to reduce the number of items you own. It will also reduce the amount you have to move (or pay someone else to move). Choosing what to let go of and what to keep is the tricky part. The key is to start early. Develop a sorting system and sort through your belongings to weed out items you no longer need. Here are some tips to help you downsize like a pro. Start small: There may be a few things that you’ve been thinking of getting rid of—start with those. Throw away or donate things that have little emotional attachment and work your way to the more important items. If you start in your laundry room or linen closet you will ease yourself into the process and get used to letting go of things. Eliminate whole rooms: If you are moving from a five-bedroom house to a two bedroom house, eliminate the two rooms you won’t have in the new house. Almost everything in those spaces will need to go, so it shouldn’t be hard to decide what to get rid of. You can even pick out the things you do want and then donate, pass down or toss the rest. Toss duplicate items: If you have more than one of anything, pick one and get rid of the other. You will find that spaces like the kitchen have duplicate items you have accumulated over the years. Let go of the ones you will no longer need and watch your clutter disappear! 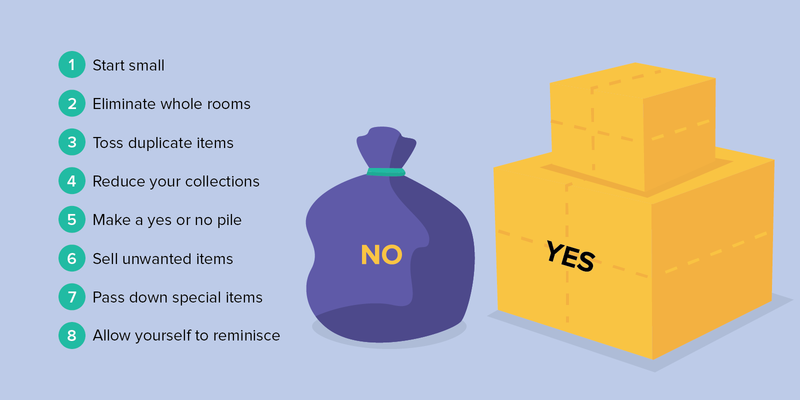 Reduce your collections: If you have a lot of items you have been collecting over the years it can be tough to get rid of them. Remember that your new space will not have as much room and these collections can end up as clutter. Instead of moving them, pick a couple of favorites to keep and take high-resolution pictures of the rest. Then you can remember your treasures without them taking up space. Make yes or no piles—no maybes: Often times a “maybe” becomes a “keep”. If you’re really serious about downsizing your living situation then you will need to be efficient about letting things go. Make money off unwanted items: You can sell things you don’t want on Craigslist, eBay, LetGo, Facebook Marketplace or a good ole’ fashioned yard sale. If there are items you think might be worth money have them appraised. For the most part, you will want to price your items to sell. You can also have a relative or professional that specializes in estate sales help you. You never know—you might get a little extra money towards your retirement! Pass down special items: There will undoubtedly be valuable items or items of sentimental value that you will not be able to fit in your new home. Don’t be afraid to pass these down to your younger relatives who might have more space in their homes. It’s never too early to start giving legacy gifts, so ask your relatives what they might want! Allow yourself time to reminisce: While you don’t want to drag this process out too long, you will also want to allow yourself a reasonable amount of time to think about the memories these items might dredge up. It’s OK to pause and reminisce, just know when it’s time to let go and get the job done. Downsizing can be difficult for a number of reasons. There is uncertainty surrounding the process that can be scary for older adults. Not knowing whether you will like your new home or what all you can take with you can lead to sadness, anger and frustration. You may be emotionally attached to your home. Maybe when you purchased your adult home you thought that would be the last home you ever lived in. Perhaps you feel that giving up your home will be giving up memories and attachments. Whether you’re moving because of financial reasons, health reasons or simply need less space to maintain, you will need to focus on the positives this move will bring to your life. Here are some ways you can manage the emotions you are likely to feel when downsizing. Stress the positives: Mindset is everything. As we mentioned earlier, thinking about how downsizing will make your life easier, alleviate stress or bring you closer to family is a helpful outlook. This new property might be a better fit for you physically, keeping you safer than you would be in your old home. Think of it as a fresh start! Talk about your feelings: Sharing your thoughts with friends or family members is a great way to explore and validate how you’re feeling. It’s okay to cry, to remember the good times you had in your current house and express your concerns about the future. What’s unhealthy is bottling up your emotions. Talk about your feelings as much as you need to until your fears are eased. If you need to talk to a mental health professional, don’t be afraid to do so. Hire a professional: There are senior moving managers that can help you sort through your things, develop a moving plan and take a strategic approach to downsizing. They can also refer you to a specialist if you are emotionally distraught. Just knowing that someone is there to help can ease a lot of tension! Now that you’ve decided where you’re going to move, made a plan, purged unnecessary items and are emotionally prepared for your relocation… it’s time to move! One thing you will need to decide is how much of the move you will want to do yourself. If you haven’t hired movers yet, you will want to do so a few weeks in advance. Start early and pack slowly so that you don’t get overwhelmed. You can break packing into smaller tasks to make it more manageable. Choose one small area to start with, like a drawer or closet, and start packing there. 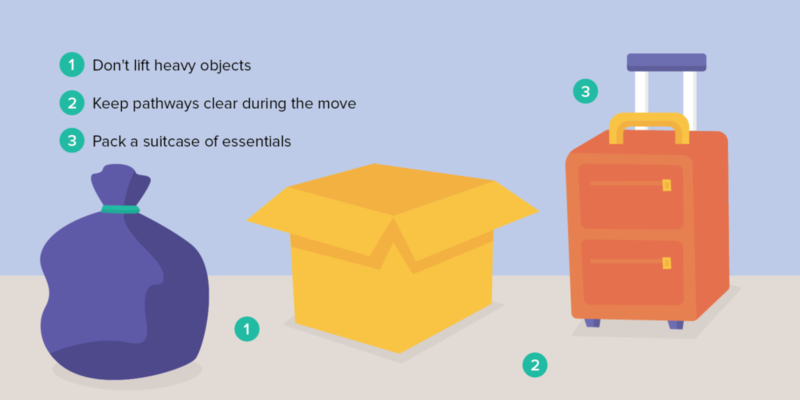 By now, you should have only the items you will be able to take with you to your new home! Take pictures of things that you may need to remember such as the cord setup behind your entertainment center. It can save you a lot of trouble when you (or someone else) is unpacking and getting you set up in your new home. You can also take pictures of the way the rooms are set up. Not only will you be able to remember what your old home looked like, but you can arrange the new home to look as close as possible as the old one. It’s also handy to take pictures of what is inside each box and taping a copy of the photo to the outside. Then you will know exactly what each box contains without having to open them right away. You may think that you are able to lift a heavy object on your own, but doing so puts you at risk of injury. If you throw your back out or fall because you were trying to lift something that was too heavy it will make your move much more difficult. Instead, ask for help. Have a friend, family member or neighbor help you lift an object that might be too heavy. Even before the movers arrive it’s important to keep your health in mind. It’s important to make sure that all pathways are clear during your move. This way you can easily move about your home and avoid trip hazards. If you find that boxes are taking up space in your major walkways ask someone to move them. You can leave boxes in your garage or place them in the middle of each room so that you can still move around on the outer edges. Just ensure you can quickly move out of your home if there is an emergency without tripping! Think about what items you will need in the next week. What items do you use daily that you absolutely can’t live without? Keep a few pairs of clothes, any toiletries or medications you use daily and a couple of different types of shoes in the bag. You may also want to keep items like fresh bed linens and shower utensils handy so that you can feel comfortable in your new home right away. Pack those items in a suitcase and keep it easily accessible. That way you will have those items within reach when you need them in the new home. This may be one of the most essential steps. Even if you’ve downsized your belongings significantly, you will still have a few heavy or fragile items that need to move. Professional movers will have the equipment and skills necessary to ensure your items make it safely to the new home. Be sure to do your research and compare prices. Make sure that you hire a company that has high customer rating and has a reputation of transparency and integrity. It’s best if you do this several weeks ahead of time so that you aren’t rushing last minute to find the perfect moving company. Once you’re all moved in and unpacked it’s important to make connections in your new neighborhood. If you haven’t moved far or have moved closer to family or friends this will be easy. If you’ve moved to a new city or new country you will need to put more effort into staying connected. This means making sure you reach out to your loved ones often and encourage them to visit. You can also make new friends in your new community. 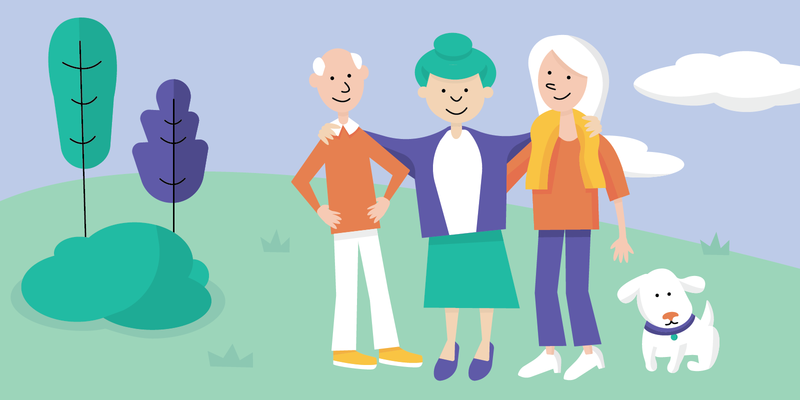 There are several options to help you make like-minded connections with people of all ages in your new community. If you practice religion joining a new church, temple or synagogue can be a great way to make new contacts. Most cities also have local civic, arts and cultural organizations you can join. There are senior centers where you can interact with other senior citizens. There are several non-profits that specialize in senior inclusion as well. As long as you stay connected in your new community there is no reason you shouldn’t love your new home just as much as your old one. Choose a location that makes sense for you and plan your move. Make sure you plan ahead of time, avoid injury and ask for help when you need it. You may be only a few steps away from a new beginning! If you’re itching to decorate your rental or your new home, then we urge you to consider using mirrors as your figurative paint brush. Mirrors: they’re not just for the bathroom anymore! As long as you restrain yourself from lining them across every last surface, supplementing mirrors in your living space is a key way to make your place feeling super open. Knowing that, here are five things that a mirror can do super easily for you!